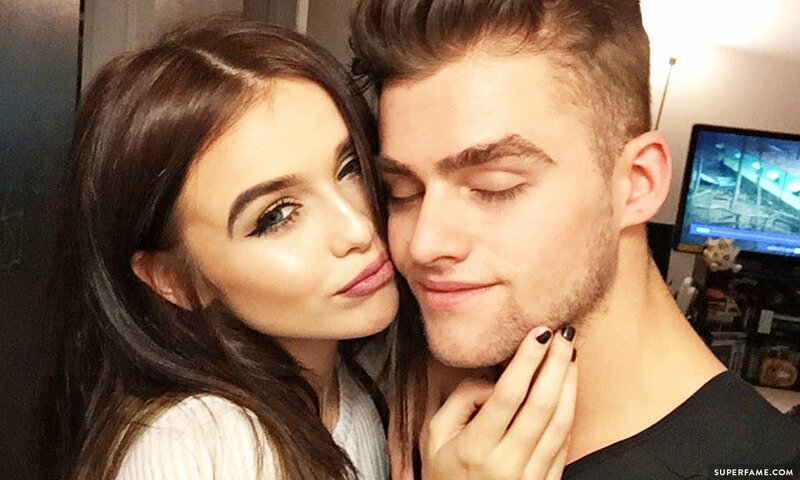 After weeks of speculation, 17-year-old Acacia Brinley has finally removed 20-year-old boyfriend Benn Suede’s name out of her Twitter bio. A name removed from a bio? This clearly means business. 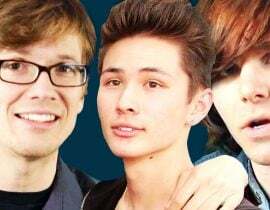 Update: Click here to read about Acacia’s brand NEW boyfriend! 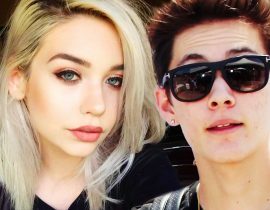 Despite the fact that Crown the Empire musician Bennett Lee / Vogelman and Acacia Brinley have yet to officially confirm a split, or disclose anything relationship-related whatsoever – fans are already claiming a secret breakup happened weeks ago. 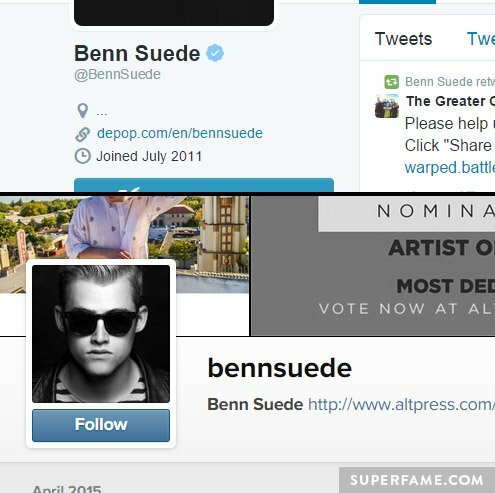 A few weeks ago, Benn Suede cleared out any mention of Acacia from his Instagram and Twitter bios. 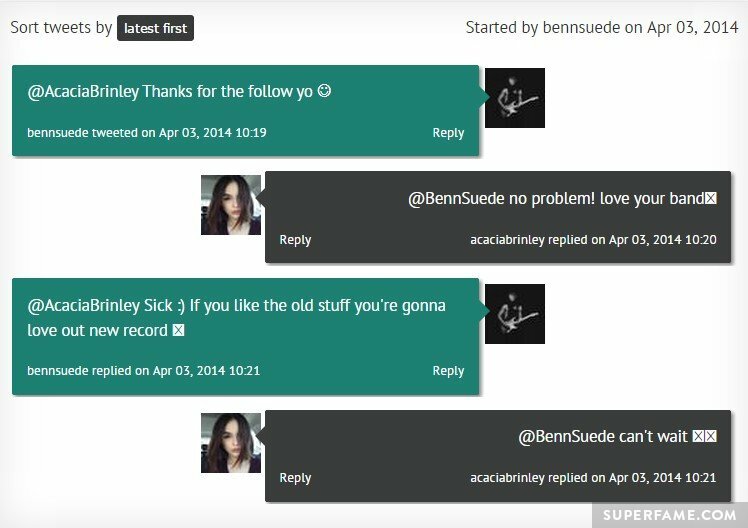 During this time, Acacia still had up multiple mentions of Benn on her social media accounts. It took quite a while before Acacia decided to finally scrub her accounts clean of Benn. This involved plenty of photo-deleting and re-writing. 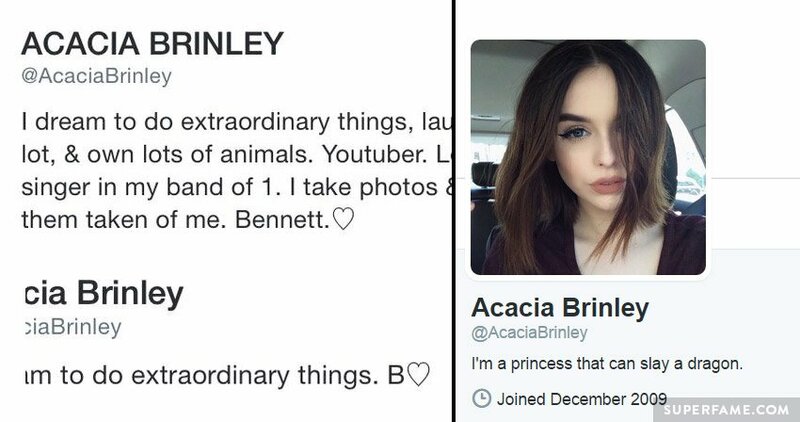 Here’s one of Acacia’s old Instagram profile bios on the left, which clearly shows “Bennett Lee” – and her current empty one on the right. Here are some of Acacia’s old Twitter bios on the left, which feature references to Bennett with heart emojis – and her current one on the right. 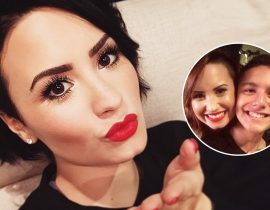 Fans grew even more suspicious of the duo’s relationship status, when they suddenly stopped their hourly selfie-posting and lovey-dovey tweets. Both Acacia Brinley and Benn Suede’s band Crown The Empire were at the “South By South What” music festival around mid-March – and they did not post a single selfie together. 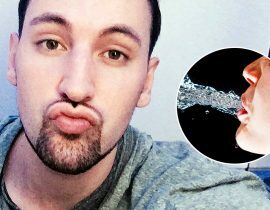 Benn’s last recorded, non-deleted, public tweet to Acacia was on February 9th, according to Conweets. “I know baby. Keep hanging on. 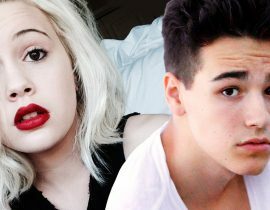 I’ll be home soon,” Benn tweeted to an impatient Acacia. 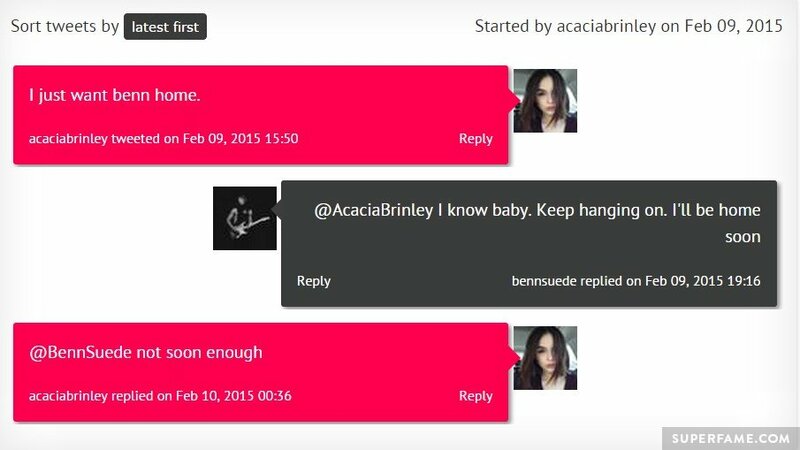 Ever since then, every single one of Acacia’s replies to Benn have been ignored. 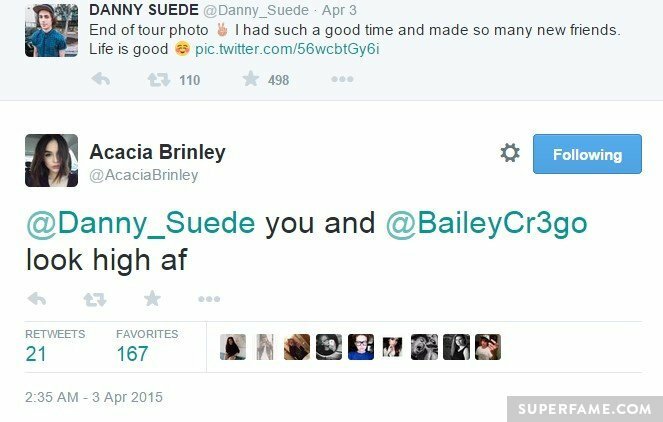 Despite being mostly ignored by Benn, Acacia still occasionally converses with Benn’s younger brother Danny Suede – as recently as last week. 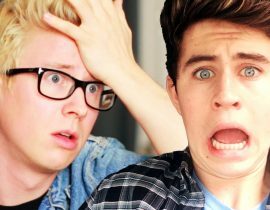 How Did Acacia Brinley & Benn Suede Meet in the First Place? 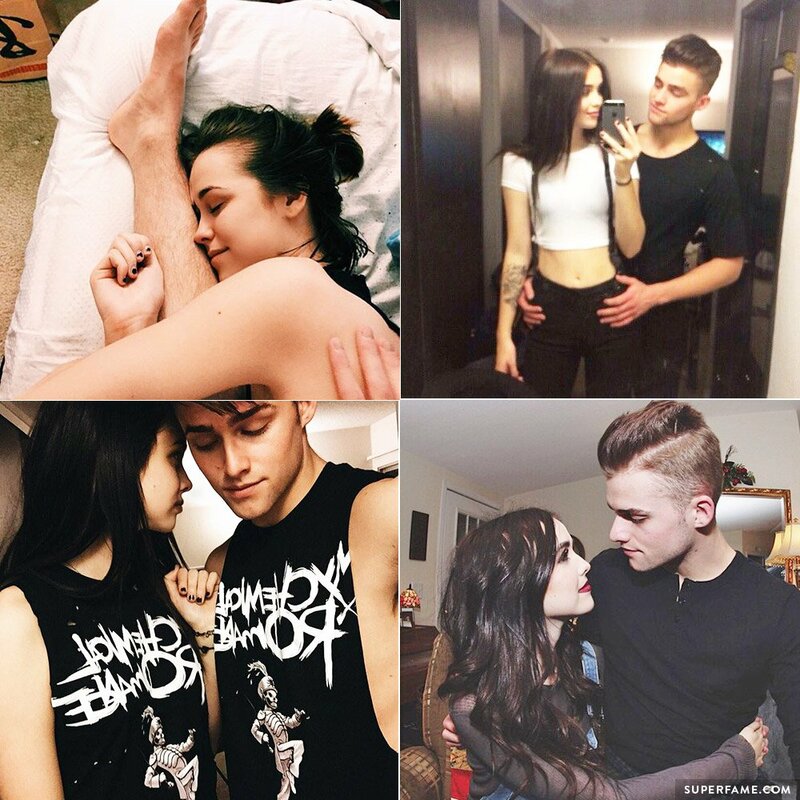 On Instagram, Acacia once described her first experience meeting Benn in person. “I remember the first time I saw you. 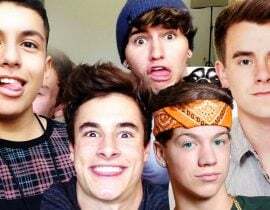 I was walking past your tent at Warped tour, knowing you were there. Maybe you’d see me, and wave – and as soon as I looked into your tent I saw you,” Acacia wrote. 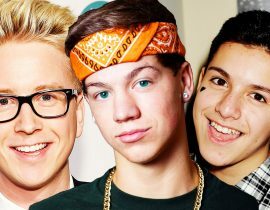 They talked as friends, before finally becoming official a few months later. Below are their first tweets to each other, on April 3, 2014.